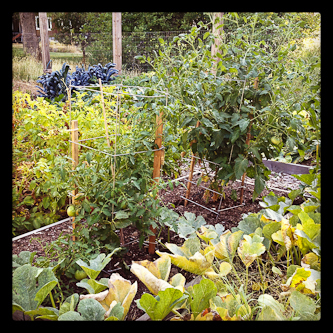 Lisa’s beautiful kitchen garden in Mosier, Oregon — see the amazing blue-green kale peeking out from behind the tomatoes? I made one simple dish that was decidedly worth repeating, and that’s the one I’m posting here. 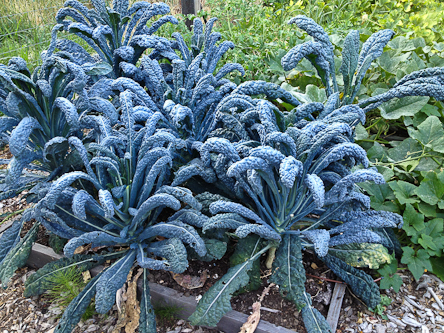 The kale in Lisa’s garden is Tuscan kale, also called cavolo nero, lacinato or dinosaur kale. I also love it roasted, which I do here. There were also fat onions, bursting out of the ground, and several pots of cherry tomatoes which we ate like grapes at a Roman feast. 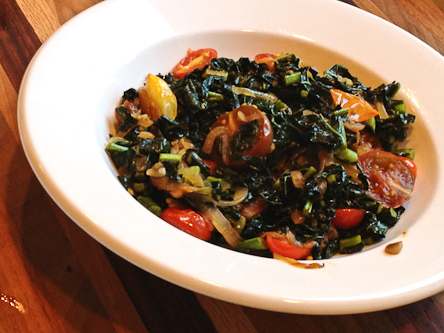 This is one of those “recipes” that is not a recipe at all — no precise ingredients, just go for it. 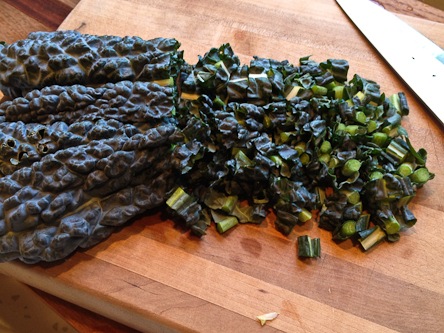 Trim the bottom inch of stem from the kale, rinse and pat dry. Slice crosswise into 1/2 inch ribbons. 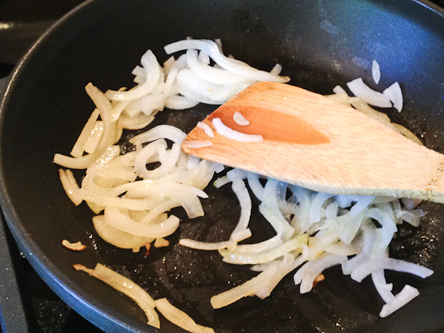 Heat the olive oil in a large pan and wilt the sliced onions with a little salt for about 5 minutes over medium-high heat. 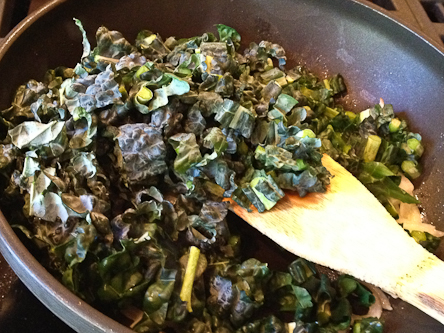 Add the kale and continue cooking another 3 to 5 minutes, until the kale is wilted and bright green. 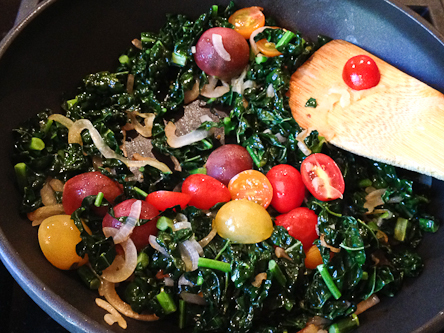 Add the cherry tomatoes and sauté until they are just drooping and tender, about a minute or two. 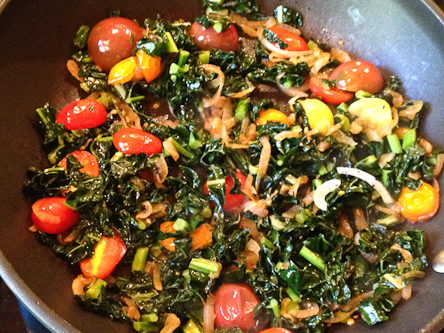 I could eat this every day, and when I grow kale in my garden, I will! You can just taste the sunshine. 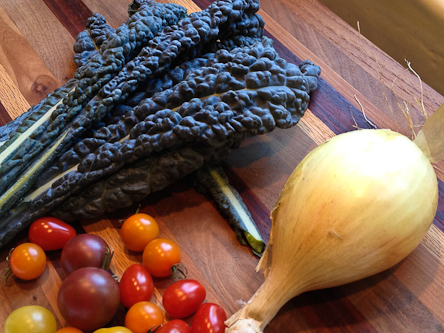 Thanks so much for linking to my family’s site (Berridge Farms). I do think you should take a look at the other business you recommended though (hatchnm.biz also dba nmchili.com). We receive tons of complaints about their service and they have an F rating at the BBB. I wouldn’t encourage people to order from them.